Many visitors to U.S. national parks and monuments—a record 331 million in 2016—seek a hiatus, however fleeting, from the daily grind. But increasingly, they may find themselves face-to-face with some of the things they are trying to escape. 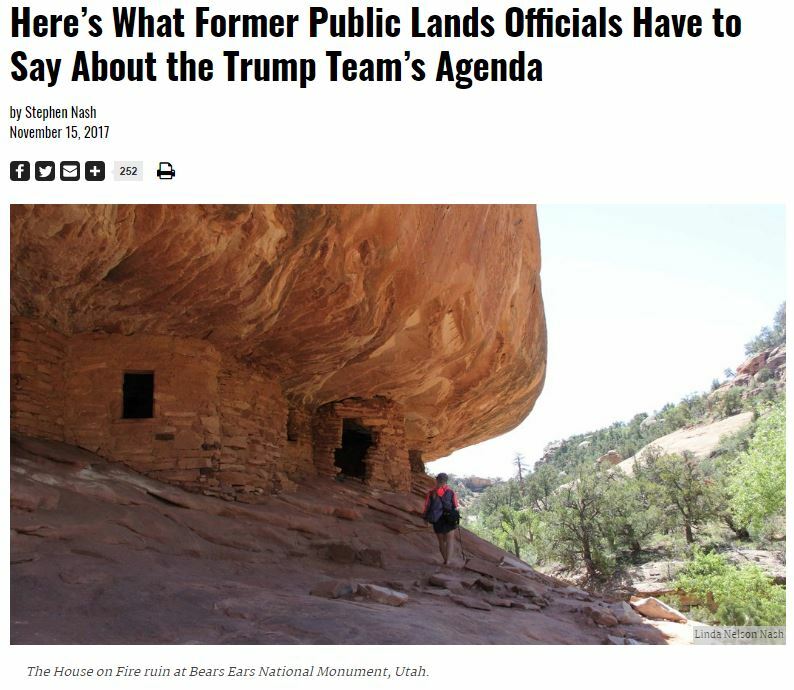 The Trump Administration’s quick-step public lands agenda for 2017 includes budget cuts, expanded resource extraction (mining, logging, drilling, and grazing), shrinking national monument boundaries, and a relaxation of restrictions on problematic activities like the use of plastic bottles.